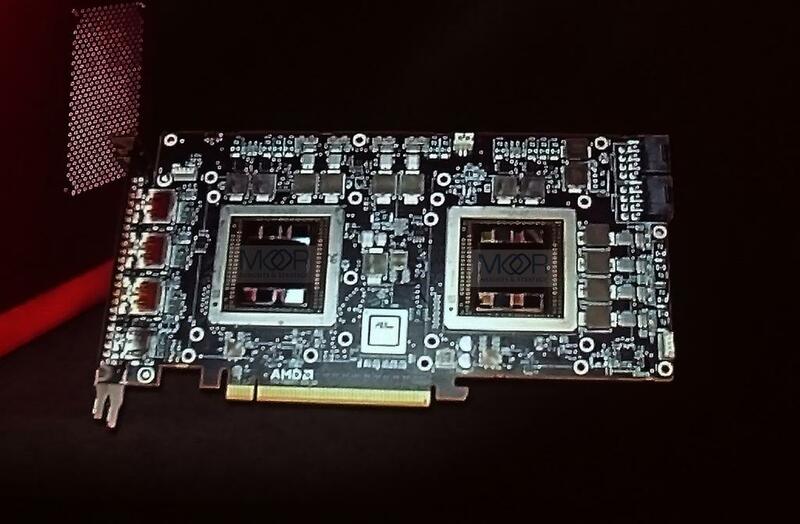 The PCB for AMD's R9 Fury X2 has just been pictured. It is surprisingly small for the power it is intended to pack. Read more on the AMD R9 Fury X2 here. Never know.. they could surprise us with their advancements.. It is much harder to produce than just placing HBM beside a GPU. Remember that AMD has staggered the launch of all Fiji based products. The Fury non-x will not come until almost a month after the Fury X. Just because they stagger launches, doesn't indicate yield issues.. if that was the case Nvidia would be having yield issues constantly with the Titan release than Ti version after. It's just for marketing tbh. yeah staggering launches is typical in this industry, as the 2nd best GPU is almost always the better purchase money wise. Everything is hinting at this GPU being in short supply, while AMD are certainly not having yield issues now, AMD certainly did. AMD have had PCs with this GPU in it floating around for ages, if the rumors i hear are correct. Apparently Oculus were using a fury in a system at Gamescom earlier this year, but nobody was allowed to see it.